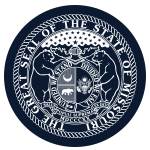 Mission: The Missouri Planning Council for Developmental Disabilities works to assist communities in their efforts to include all people in every aspect of life. Function: The Missouri Planning Council for Developmental Disabilities plans and advocates for individuals with developmental disabilities in order to enhance their opportunity for increased self determination, independence, productivity and integration and inclusion into the community. Member Requirements: At least one-half of the members shall be consumers (Federal Law 106-402 requires 60% of the Councils membership be Self Advocates or Parents/Guardians of children with developmental disabilities. No less then five from either category). Other members shall have professional, research or personal interest in mental retardation and developmental disabilities. At least one member shall be a manager of or a member of the board of directors of a sheltered workshop as defined in section 178.900, RSMo. No more than one-fourth of the members shall be vendors or members of boards of directors, employees or officers of vendors, or any of their spouses, if such vendors receive more than fifteen hundred dollars under contract with the department; except that members of boards of directors of not-for-profit corporations shall not be considered members of board of directors of vendors under this subsection. Geographic Requirements: members shall be geographically representative of the state and reflect the diversity of the state with respect to race and ethnicity.